Cocoa Tea & The Step By Step Band Live In Concert! Early Bird Discount … Get Your Tickets On Sale Now … Click Here! Tickets on sale Now! Save on advance tickets Click Here! 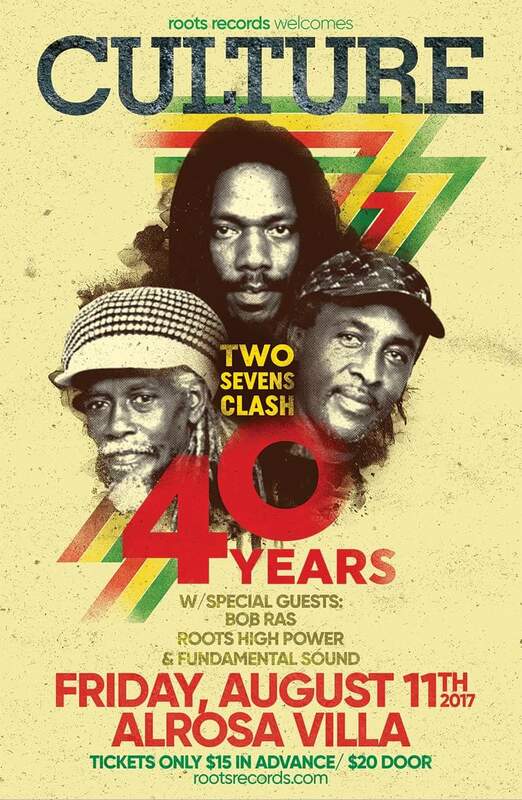 Roots Records 20th Anniversary Party! 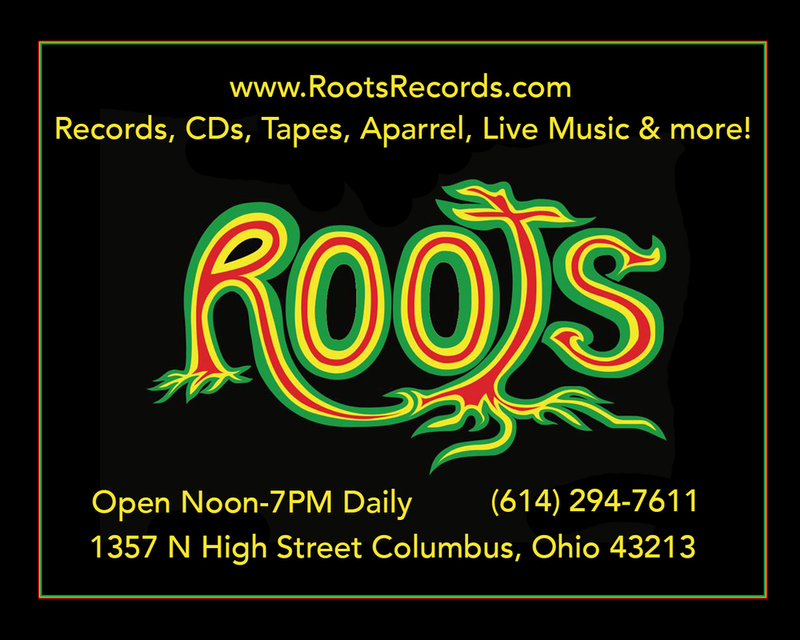 Roots Records has been the hub of the Columbus reggae scene for the past 20 years offering a full selection of music and merch for sale, and bringing in the best reggae/world music artists for concerts. The shop first opened it's doors on September 15th 1997. It's the 20th anniversary of Roots Records and we're celebrating with a reggae night @ King Avenue 5 on Friday September 15th. The bands Bob Ras and The Quasi Kings each will play a long set, and selectors Fundamental Sound will be spinning classics as well. Show starts at 8pm and will go till 1am. Cover is $7. With thanks to support from Terrapin Beer Co. ROOTS RECORDS 20th ANNIVERSARY SALE! Your support over the years of our eclectic tastes in music from around the globe is very much appreciated..... Thank you for an amazing 20 years and many more to come! Without you there'd be no us. One Love! 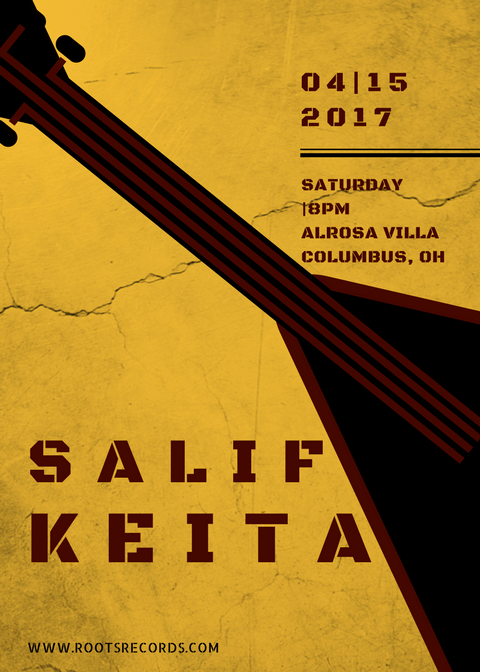 SALIF KIETA live in concert April 15th, 2017! A few of our local artists will be opening for Salif Keita and there will be small businesses and food vendors to enjoy. Get your advanced tickets now! At Roots Records or any locations listed in the photo here! Also from ; Ticketmaster, Click here! CHRONIXX & his ZINCFENCE REDEMPTION BAND LIVE! CHRONIXX & Zincfence Redemption Band ft. Jah 9, Kelissa, & Max Glazer! ROOTS LABOR DAY REGGAE FEST ...JESSE ROYAL & His Band Live! in Columbus: MS Ena's Jamica Restaurant,Island Vibes,Ken's Barber Shop,Irie Jamerican on Sullivant & Madina's World Market....& Africa Supermarket,3639 Livingston Ave. ROOTS RECORDS PRESENTS: CHAM & THE LAWLESS BAND LIVE! CHAM w/ The Lawless Band... LIVE in concert! It's Record Store Day! We will have exclusive RSD releases, 20% off used vinyl and free beer! We will also have J. Rawls Essence Of (15th Anniversary Redux) copies available! Here's a list of the RSD releases. Dougie Simpson & Faith w/ Fundamental Sound! Live reggae from Dougie Simpson from The Flex Crew with The Faith Band and Fundamental Sound. $10 cover. At Double Happiness 482 S. Front St. Columbus, Ohio. BOB MARLEY BIRTHDAY CELEBRATION 2016! ISRAEL VIBRATION new CD "Play It Real" in stock & on sale @ Roots Records! Follow Link to Facebook Event Page, Click Here! Roots Records does Gallery Hop! It's Gallery Hop! We will have DJ's, giveaways, free beer and a holiday sale for all you music lovers. Come jam with us! 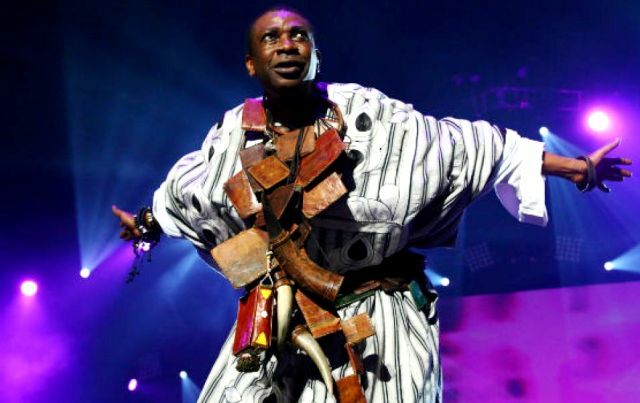 Youssou N'Dour & his band Super Etoile... w/ special guests... Thiossane West African Dance Co.
DAMIEN MARLEY, STEPHEN MARLEY, MORGAN HERITAGE, TARRUS RILEY IN COLUMBUS, LIVE! your tickets for this one as it will be LARGE !!! 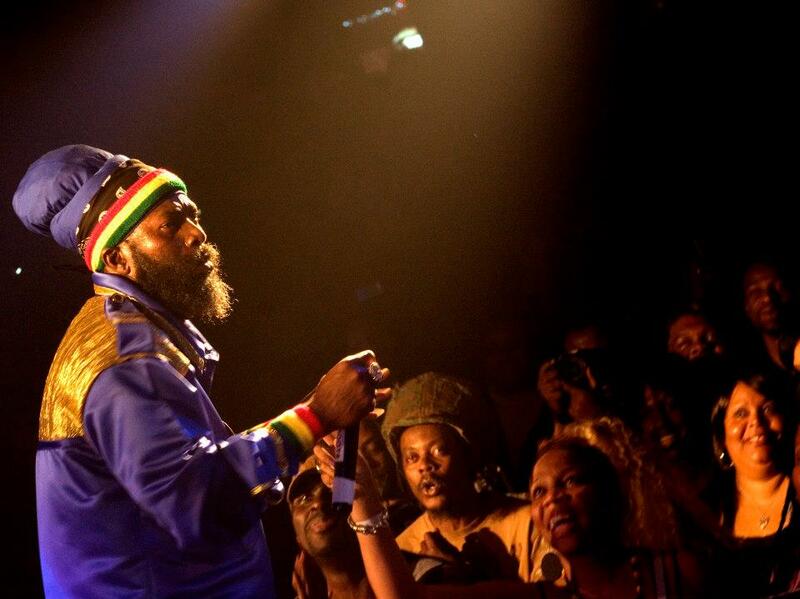 Roots Records Presents: Freddie McGregor Live! Roots Records Presents: Chronixx Live May 29th at The Alrosa Villa! $25 in advance - get your tickets early for this one people..! Record Store Day at Roots Records! It's record store day! We will have lots of exclusive RSD titles as well as guest DJ's, snacks and beer. We will also have some cool stuff on sale like CDs and t-shirts. Support your local record store! 1357 N High St, Columbus, Ohio 43201 or call (614) 294-7611 for more info! CULTURE featuring Kenyatta Hill Live at the Alrosa Villa!